Since moving up the hill from Salt Lake about three years ago, we’ve fallen in love with life in Park City- fun neighbors, wildlife in our backyard, clean air, incredible hiking and biking trails. But one thing that we miss about Salt Lake is the food. 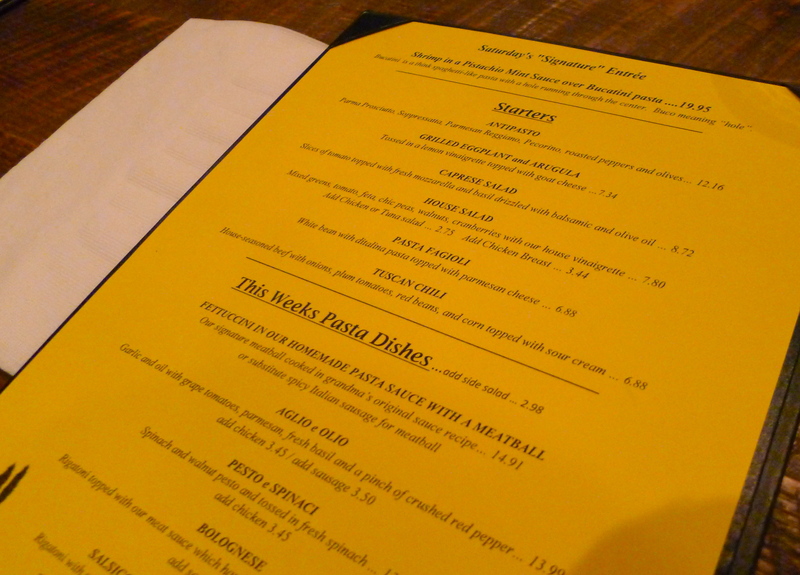 We’ve learned that Park City has a shortage of reasonably-priced restaurants with fresh, unique menus. Sure, Main Street is lined with restaurants, and the food can be quite delicious. Unfortunately, many of the menus practically duplicate the one of the restaurant next door…and because this is a tourist town, the prices are ridiculous. One of the things I love about traveling to bigger cities is discovering the hidden gem, the mom-and-pop joint, the little restaurant off the beaten path, where the owners care about ingredients and quality (and remember your name when you walk through the door). 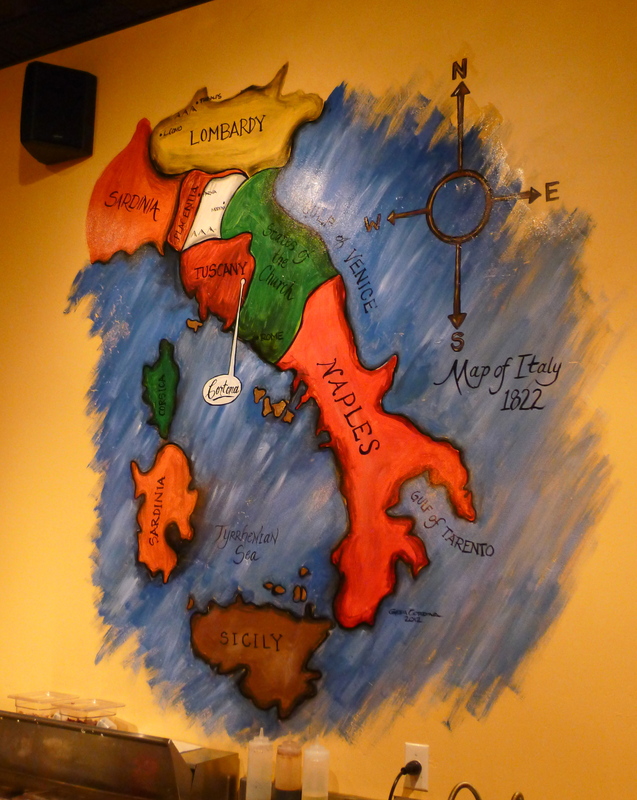 We found that in the Silver Star Café, which remains one of our very favorite places to dine in Park City. The owners, Jeff and Lisa, have become friends and hug us at the door, and their menu is ever-changing depending on what’s in season. 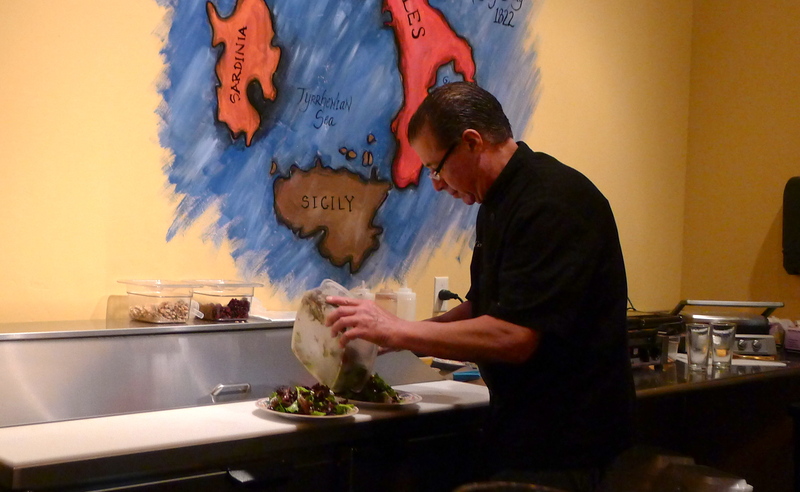 This weekend, unexpectedly, we found another new favorite at Cortona Italian Café. 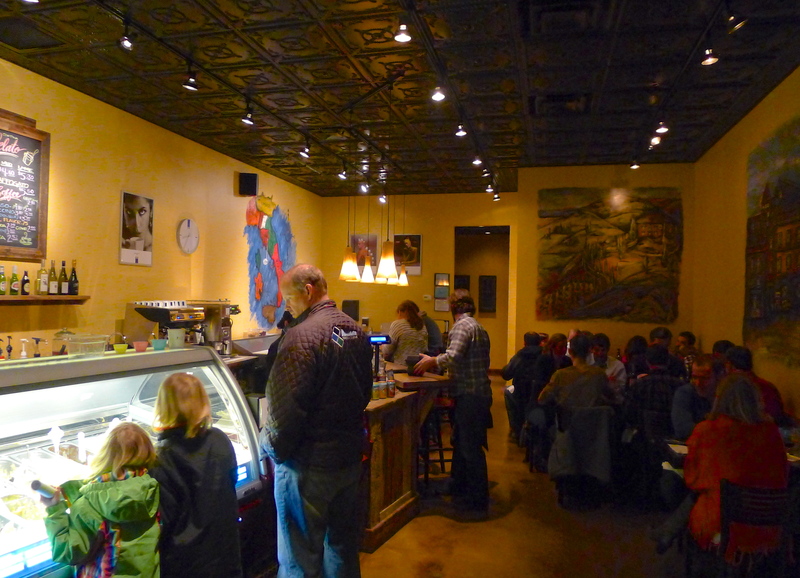 We’d heard about this place before, a gelato and panini place by day that served a very limited menu on Saturday nights. John and I wanted a date night on Saturday and went through the semi-painful ritual of brainstorming where we should eat. By Saturday morning, Silver Star’s only reservation option was at 9pm (too late). A new place in town called Fletcher’s that we want to try only had a spot open at 5:30pm (too early). I’m not sure if John or I suggested it, but “that little Italian place in the strip mall” turned out to have room for us at 7pm, if we were willing to sit at the bar. 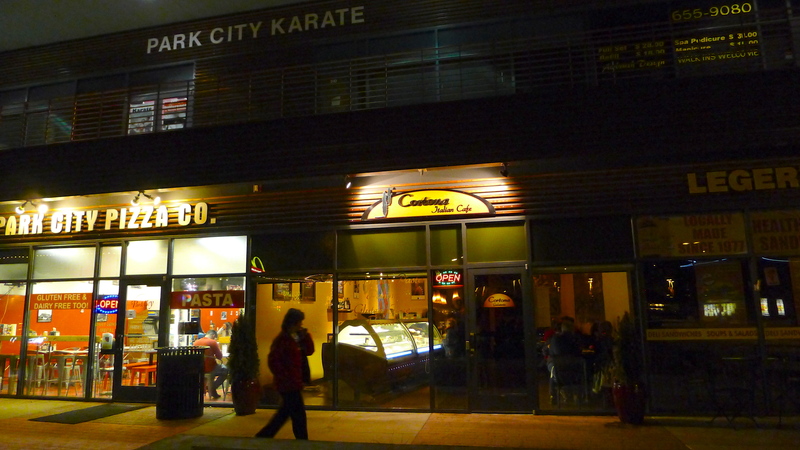 Cortona really is in a strip mall, right underneath Park City Karate with a pizza joint on one side and a deli on the other. 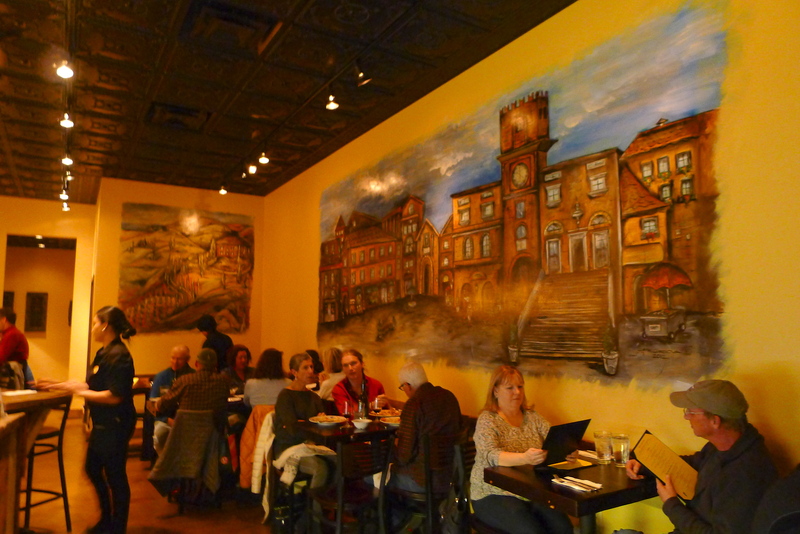 The first two things I noticed about Cortona were the gorgeous murals painted on the walls and the fact that every table was filled when we walked through the door. In fact, it’s so teeny, it only seats 33 people. We took our reserved spots at the bar, surveying the gelato options in the case near the door with wide eyes as we passed. I knew before we even sat down that we’d be having dessert tonight. We ordered an antipasto platter to share and strategically planned our order. 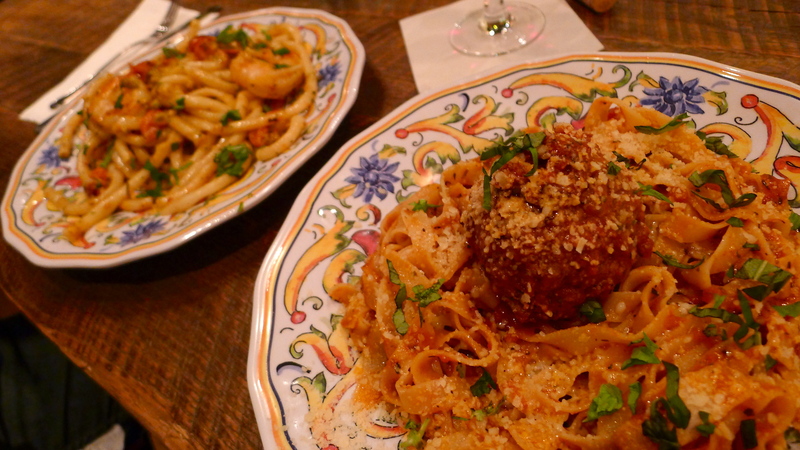 After some debate, it was decided that I’d get the signature meatball and fettucine with “grandma’s original sauce recipe” (obviously) and John would get the special pasta, a buccatini dish with shrimp and a pistachio mint sauce. It was too interesting to pass up. We dipped soft bread in a tasty herbed oil-and-balsamic mixture and took in our surroundings. 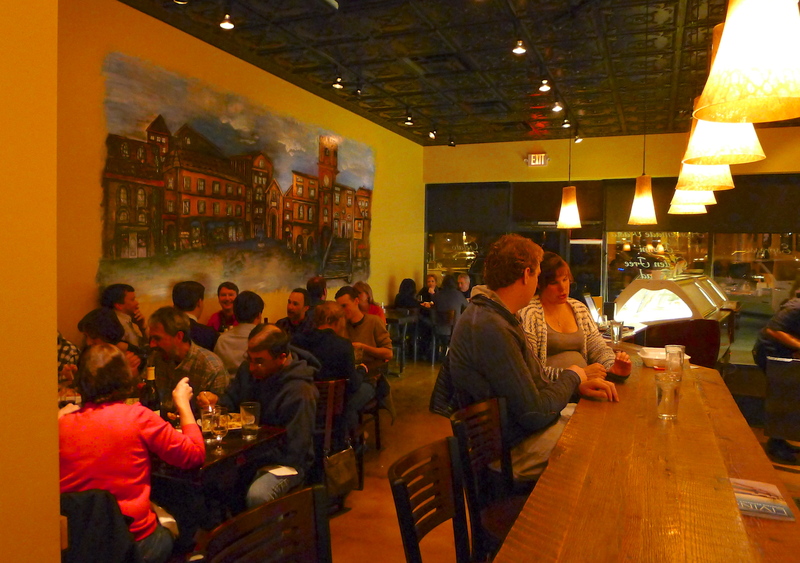 The bar was a great place to sit, toward the back of the restaurant. 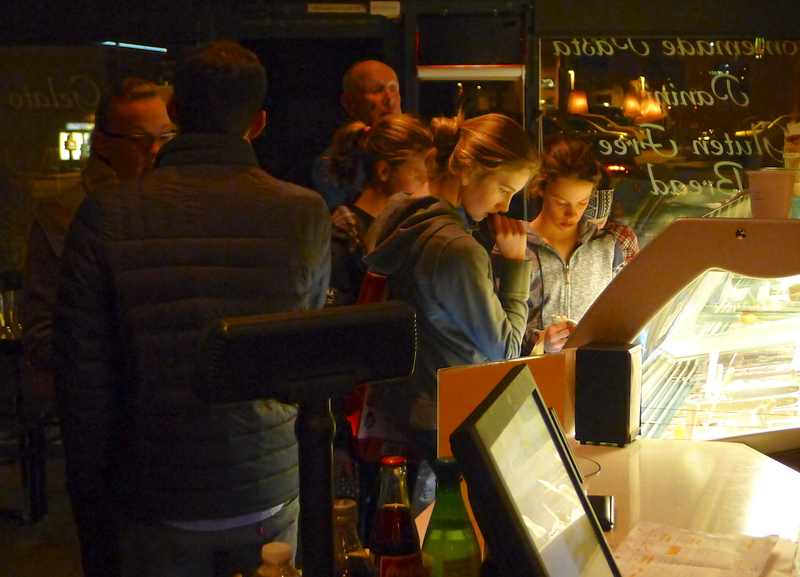 A crowd had gathered near the door, half wanting to eat dinner (but getting turned away) and half wanting big cups of gelato. 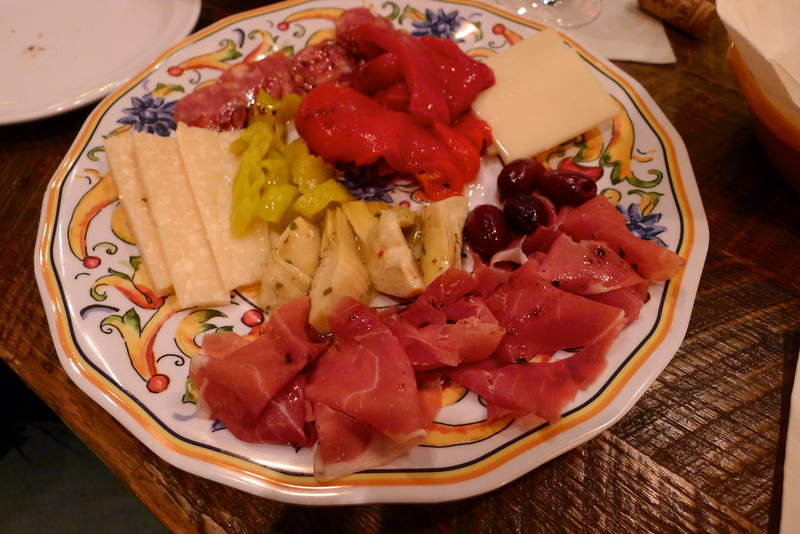 Our antipasto arrived, a beautiful selection of meats, cheese, olives, artichokes, red pepper, and spicy peppers. We met the owner, David, who chatted with us throughout our meal between making salads and appetizers. It’s awesome to see the owner of a restaurant making food. Our dishes arrived, with fresh, homemade pastas. 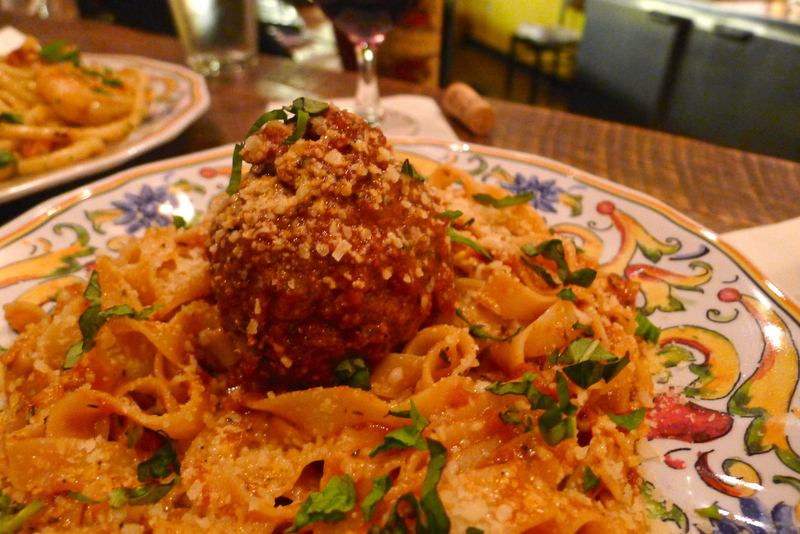 My fettucine was topped with one giant meatball, which I cut into to try a bite. It was moist and full of flavor and the sauce on the pasta was fabulous. It was a rich, well-done traditional red sauce- Grandma knew what she was doing! 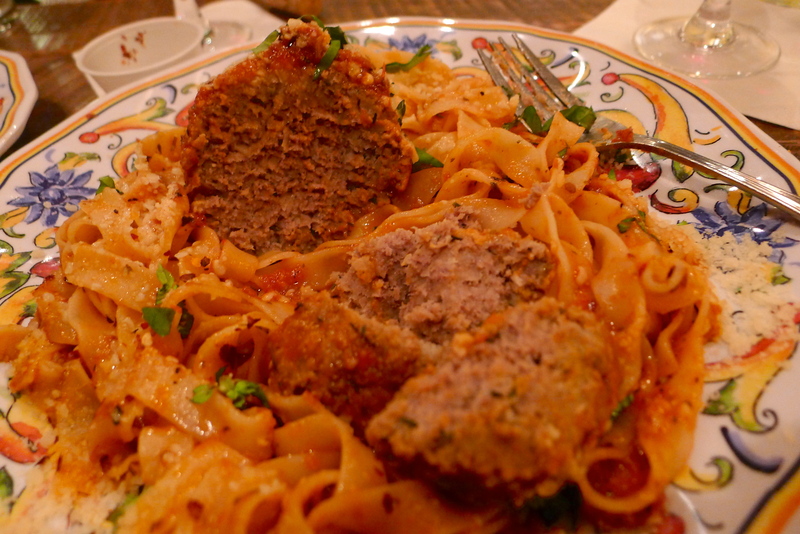 John’s dinner was a buccatini dish, which is like thick spaghetti with a hole in the middle, forming a tube. 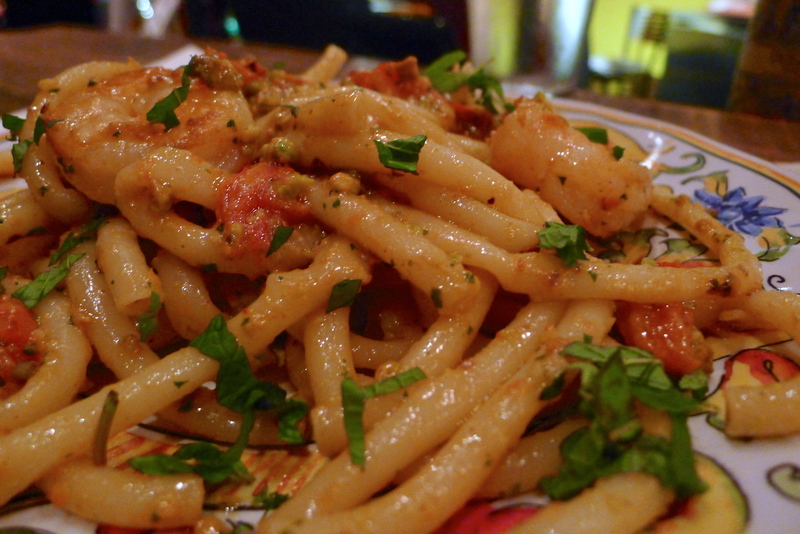 It included with fresh basil, garlic, tomatoes, and some kind of magical pistachio-mint combination, along with shrimp. It was the right call to try the special entrée- I’d never tasted anything like it, and it was delicious. 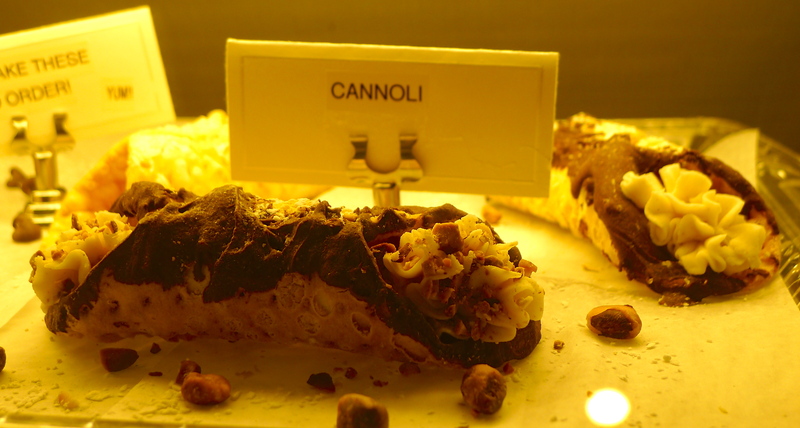 Despite other desserts in the case (like cannoli! 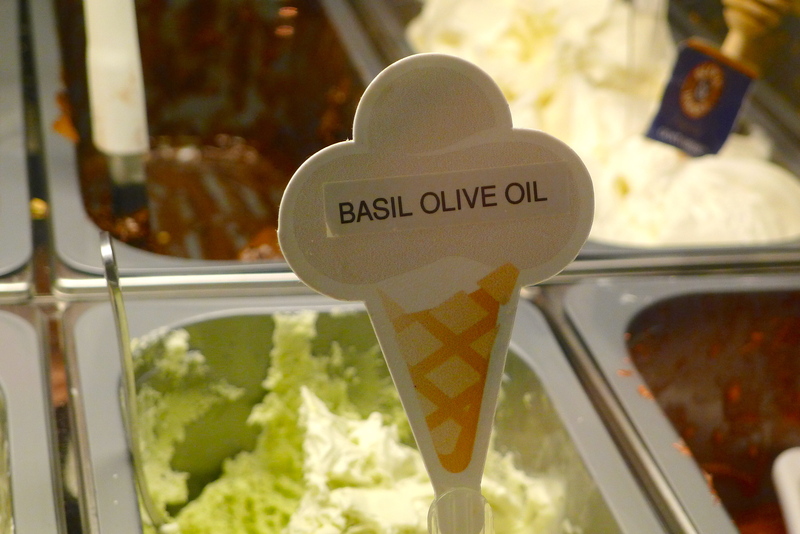 ), we stopped short of overstuffing our bellies with pasta for one reason: gelato. We ordered coffees and surveyed the selections. 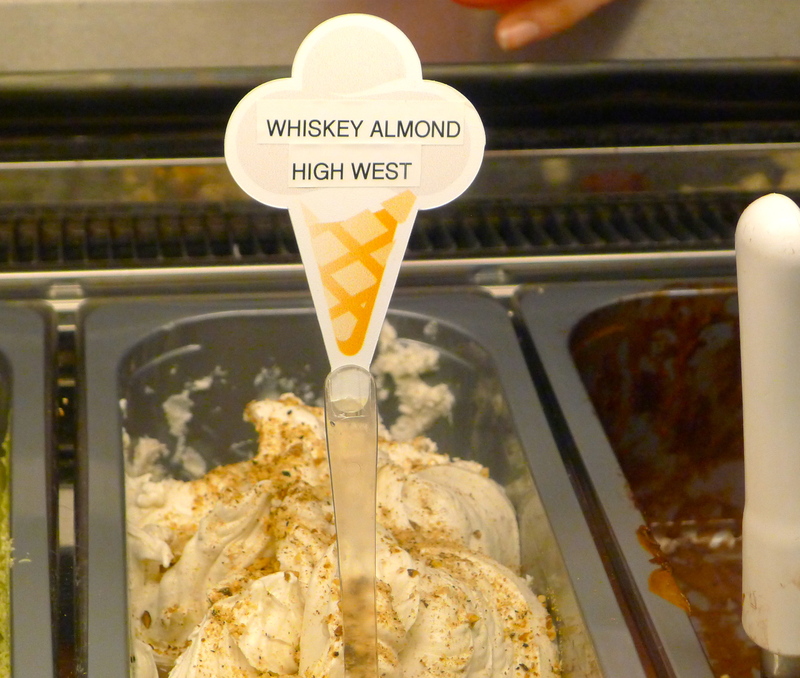 John immediately chose a salted caramel flavor. 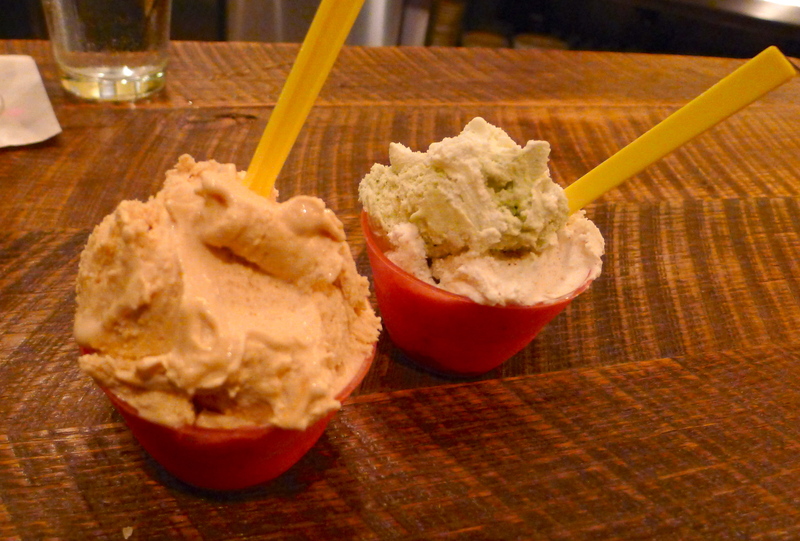 When it comes to gelato, I usually go right for the pistachio, but a couple of intriguing flavors caught my eye: a whiskey almond (using local High West liquor) and a basil olive oil. I couldn’t decide, so I got both. 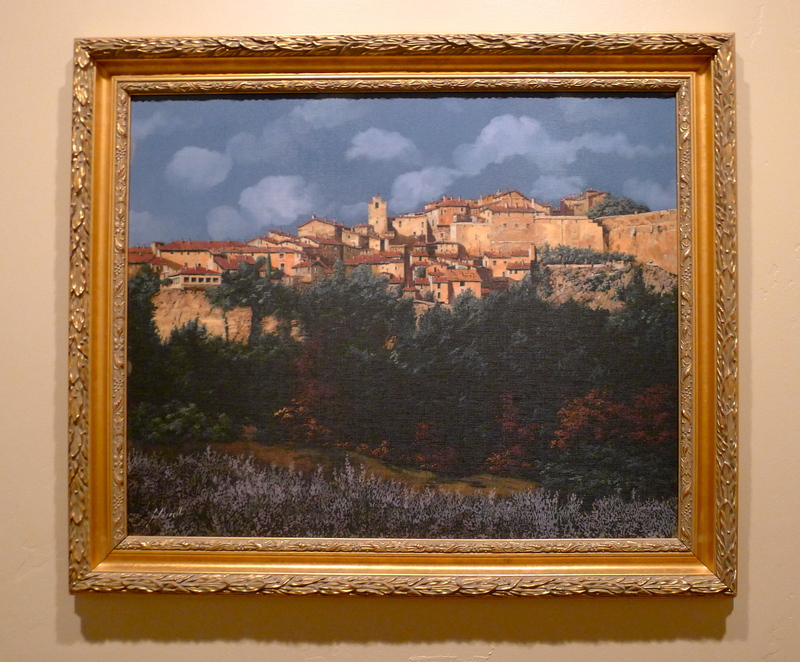 When in Cortona, right? All three flavors were simply heavenly. 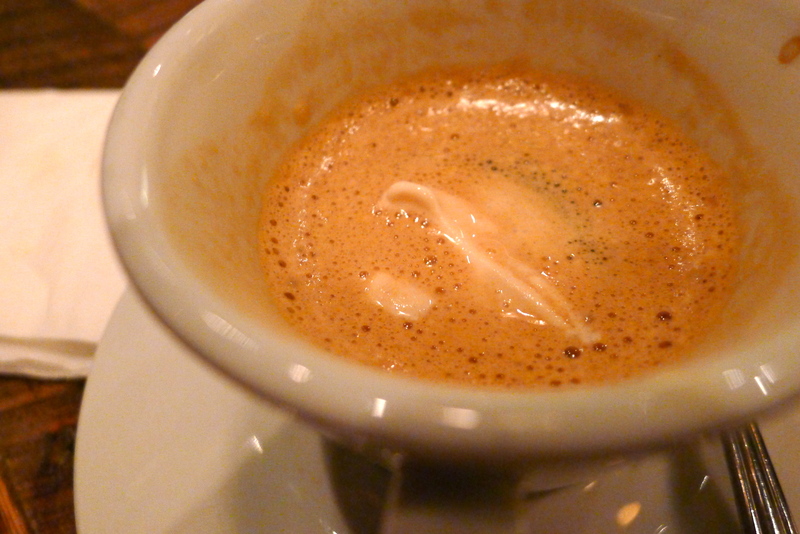 John took his macchiato to the next level with a dollop of salted caramel gelato. YUM. 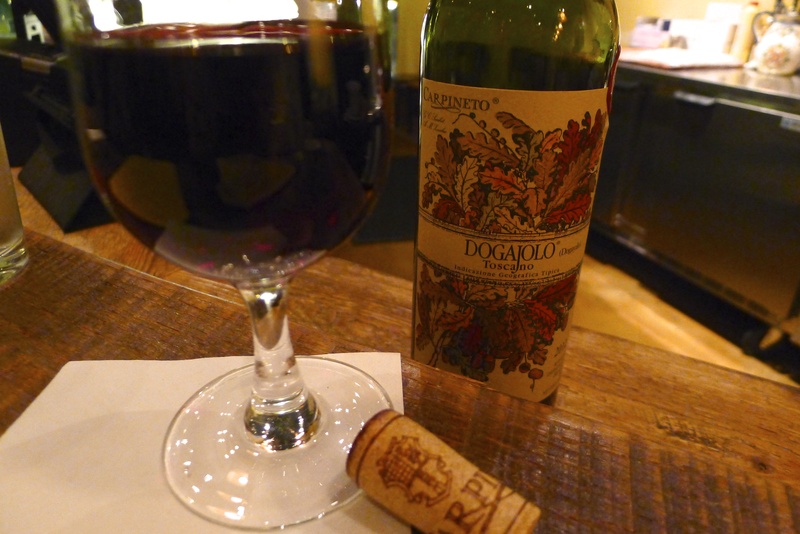 When we received the bill, it was surprisingly reasonable for a meal that included a wine corkage fee, an appetizer, desserts, and coffee. 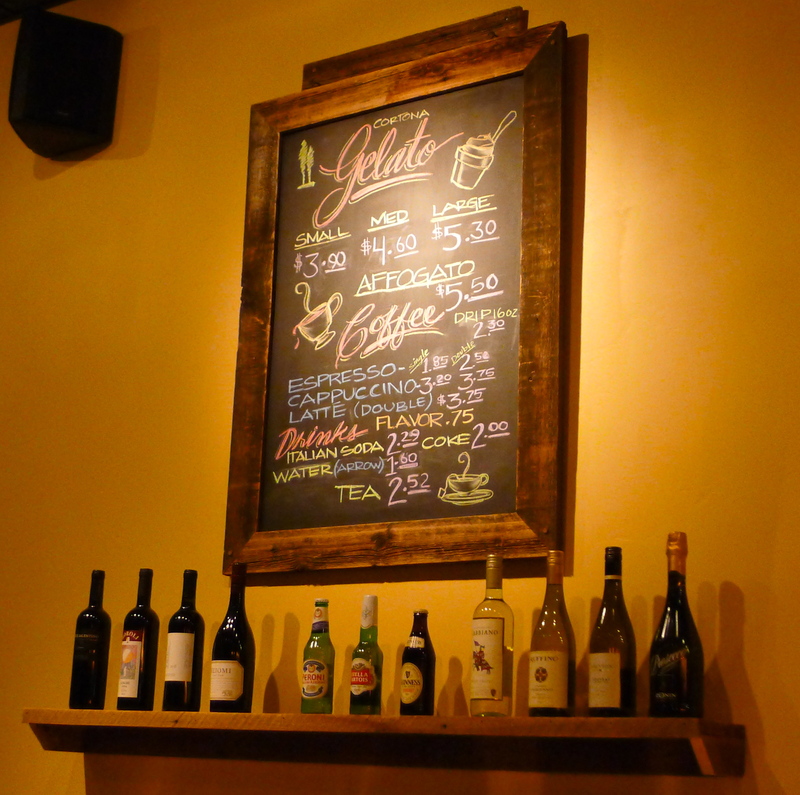 That sealed the deal: Cortona is definitely a new favorite spot, with a warm and inviting atmosphere, friendly staff, good prices, and incredible food. 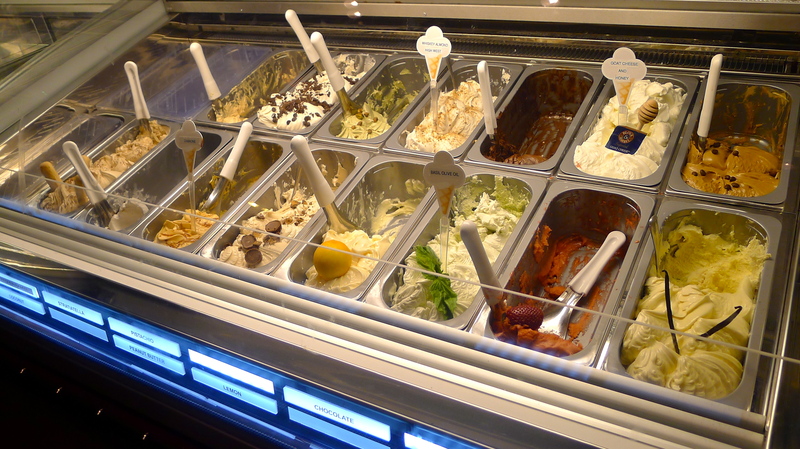 And GELATO. We walked out with the next day’s lunch in to-go boxes as more hungry people came in. Over their heads, the owner waved goodbye. Whether it’s for a panini lunch, another scrumptious supper, or tasting every gelato in the case, I can say with certainty: we’ll be back to Cortona soon. More of ME in PC.